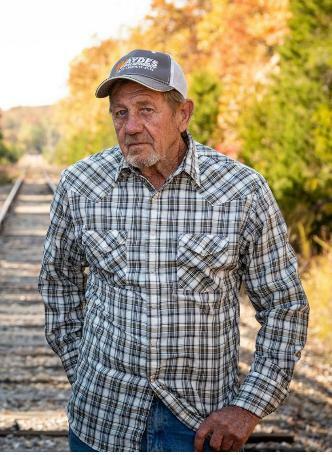 Thomas “Tom” Eddy Worley of Steelville, Missouri passed away unexpectedly at his farm on Saturday, April 13, 2019. He was born February 6, 1944 in Steelville to Floyd and Mildred Martin Worley. In June of 1963, he was united in marriage to Judy May Carr and to this union seven children were born. Tom served honorably in the U.S. Army from 1968 to 1970. He was employed as a union carpenter in St. Louis for 36 years. He was also a member of the Steelville Country Club. Tom was a huge fan of NASCAR, enjoyed his farm as his hobby, fishing and shooting his guns and most of all loved his family and grandchildren. He was preceded in death by his parents; his wife of fifty-three years, Judy Worley; three sisters, Barbara (Henry) Gilliam, Neville (Lee) Smith and Rosalee (Earl) Midyett; mother-in-law and father-in-law, Homer and Millie Carr; brothers-in-law, Tom Carr, Gary Dillingham and Gene Hogue; and sister-in-law, Lois Missey. Tom will be sadly missed by his seven children, Rachel (Bobby) Lyerla of St. Louis, MO, Rebekah (Tim) Manion of St. Clair, MO, Julie (Greg) Poncet of St. Louis, MO, Travis (Tracy) Worley of Steelville, MO, Carrie (Brook) Byrd of Leasburg, MO, Jaime (Billy) Missey of Steelville, MO and Kenneth Worley of Steelville, MO; sister, Betty (Ted) Krahling of Longmont, CO; sisters-in-law, Christine (Earl) Grubaugh, Nadine Hogue and Jane Dillingham all of Steelville, MO and Sharon Carr of St. James, MO; brother-in-law, William (Jeannie) Carr of Sullivan, MO; thirteen grandchildren, Baylee, Maggie, Samantha, Cody, Caleb, Katie (Tex), Charlie (David), Hunter, Kynnadee, Korbin, Brandon, Austin and Wil: three great-grandchildren, Ashlyn, Natalee and Reagan; other relatives and friends. The Family received friends from 5:00 p.m. to 8:00 p.m. on Monday, April 22, 2019 at the Britton-Bennett Funeral Home in Steelville, MO. Funeral services were held at 11:00 a.m. on Tuesday, April 23, 2019 at the Britton-Bennett Funeral Home in Steelville, MO with Rev. Alan Miles officiating. Special music of "Things My Father Said" and "Daddy's Hands" was played. Memories were shared by David Ehren. Committal prayer and interment were in the Steelville Cemetery with Military Honors by the U.S. Army. Honored to be casket bearers were Travis Worley, Kenneth Worley, Bobby Lyerta, Tim Manion, Greg Poncet and Brook Byrd.